Heart and Lung Associates, P.C. We work closely with all of our patients to slow or reverse the progression of their diseases, while striving to minimize the effect of those illnesses on their everyday lives. 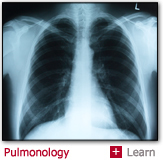 All physicians in the practice are Board Certified internists who have a sub-specialty certification in either cardiac or pulmonary medicine. Beyond this, we are also certified in Sleep Medicine, and maintain a fully accredited and equipped diagnostic sleep center. Within the same premises we also possess equipment for the most up to date lung function testing, and maintain a lab for cardiac stress testing and echocardiography. Even moderate exercise brings real health benefits. Walking briskly for 20 minutes, three times a week has been shown to have a very positive effect. Such regular exercise will help to maintain muscle strength, bone density and lower overall cardiovascular risks. It will also make weight maintenance easier to achieve, particularly for diabetics. SleepCenterNYC and Heart and Lung Associates, P.C. are interested in your health. Among the ways we endeavor to assist with your wellness is through the regular posting of health tips from our experts. You can receive these free, helpful tips automatically by subscribing to our feed at the left. How to Get a Sound Sleep? It is recommended that sleep be taken seriously and all of us has to be aware of the concept called Sleep Hygiene. 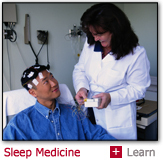 This mainly refers to the psychological strategies to prevent and treat sleep problems. Despite what you were taught the, amount of sleep is only one of the parameters to judge the usefulness of sleep. Small measures which can be incorporated in daily routine can make a huge difference. I don’t often write about alternative remedies for serious medical conditions. Most have little more than anecdotal support, and few have been found effective in well-designed clinical trials. Such trials randomly assign patients to one of two or more treatments and, wherever possible, assess the results without telling either the patients or evaluators who received which treatment.